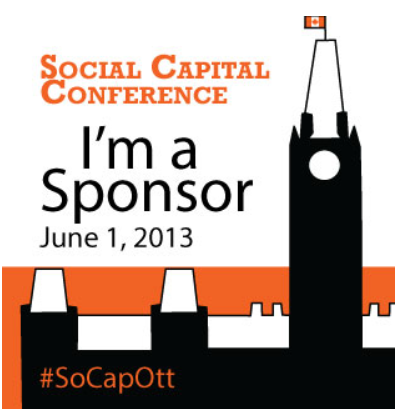 Social Capital Ottawa was held on Saturday and I moderated rountable discussions on analytics and digging deep to gain real insight. It was clear from those who participated that people are using and are keenly interested in analytics, but that information they are gleaning is largely superficial. Participants said they are tracking the numbers of visits, page views and referrals, but it mostly ends there. Most agreed that it’s pleasing to see those numbers go up, almost no one from the group made any further use of the data. A couple said they use these statistics to inform their content creation. So the subject matter, formats and style of the most popular content is given a stronger focus in the future and those of the less popular content is dropped. This is smart thinking. None of the participants (about 15) were actually looking any deeper into web or social analytics to understand how users navigate a website or use the content they find to gain any better understanding of their audiences. This has to change if they’re going to be successful. Good strategy is driven by data, research and analysis. It gives a good understanding of what people are looking for, what they value, how they want to be communicated with. 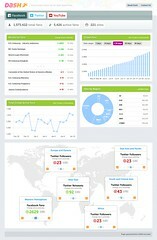 Getting a solid return on investment in social media is tough to measure. It can be difficult to show that have a thousand Facebook fans for 10,000 Twitter followers delivers product sales or votes or brand loyalty. It takes digging deeper into the data, past the top line metrics to get the real insight that matters. We recently worked with a government client who had spent considerable effort and resources over 18 months building a following on Twitter. Our analysis showed that although the follower numbers kept growing, this client was failing to reach the real key influencers of its community. We found that these influencers prefer the long-form discourse of blogging and paid very little attention to Twitter. This is valuable insight not reflected in superficial metrics. Another client wanted to target young single parents via Facebook which, on the surface, sounds like a good idea. However, our analysis showed that although this demographic was definitely present and highly-engaged on Facebook, they were not only unlikely to friend this government client on Facebook, they’d see its presence there as a threat to their personal privacy. This is crucial insight was key to developing a successful social media strategy. Click here to find out how Thornley Fallis can help you turn raw data into useful insight.